Rahul Dravid said this at the Bradman Oration. It stuck with me...One of the things, Bradman said has stayed in my mind. That the finest of athletes had, along with skill, a few more essential qualities: to conduct their life with dignity, with integrity, with courage and modesty. All this he believed, were totally compatible with pride, ambition, determination and competitiveness. 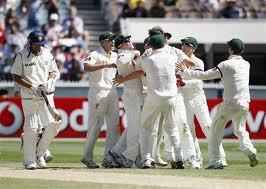 Many of my friends and family members ask me how I continue to follow Indian cricket when we are doing so bad (whitewash in Test Cricket in England in late 2011 and now in Australia (well almost there))... My answer is that there are ups and downs in sports and my love for the team and the sport isn't based on convenience, it isn't based on my team doing well all the time. Sometimes we do well (hey, we just won the World Cup 9 months ago and were #1 Test team just a few months ago) and sometimes we don't (pathetic test cricket performance recently). 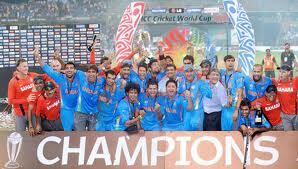 I am a fan of Indian cricket. I don't give up. I won't give up my faith, my love for the team, my love for the sport, my RELIGION.I just hope that we get through this phase without much pain and get back up and running... Go India! Who is an entrepreneur?In the mid 1980’s, Harvard Business School professor Howard Stevenson defined Entrepreneurship as “the pursuit of opportunity without regard to resources currently controlled”. Theoretically anybody who demonstrates the aforesaid behavior can be an Entrepreneur.What it takes to be an entrepreneur?Unfortunately for many, being an entrepreneur is an end state and it requires harsh trade-offs. Some leave stable jobs to chase that one Big idea. Others start by putting together a business plan backed by a detailed market research. Even some start by searching for the right angel investor. Often times, the very entrepreneurial spirit perishes in the complexities it entails.Is it really that arduous to be an entrepreneur?Not if we treat entrepreneurship as a journey, a collection of contiguous decision points and apply our entrepreneurial spirit at each of those. John Burgstone in his book, ‘Breakthrough Entrepreneurship” writes “Every time you want to make any important decision, there are two possible courses of action. You can look at the array of choices that present themselves, pick the best available option and try to make it fit. Or, you can do what the true entrepreneur does: Figure out the best conceivable option and then make it available.”So the right question would be “did I act like an entrepreneur” today? Yesterday? Everyday? If answer is consistently yes, you are an habitual entrepreneur. I along with my family went to Kashmir tour in the last week of December 2011. The nature beauty truly mesmerized our minds. Sharing some snaps of the paradise on the earth. I have read an article a few days back, which states that PHP developers should work with frontend developers, how they should help them.